Oh Sam...how many different plaid shirts does one boy need? This is another snap-up, with blue and grey plaid that has an accent of yellow – there appears to be design detail on the right breast pocket. 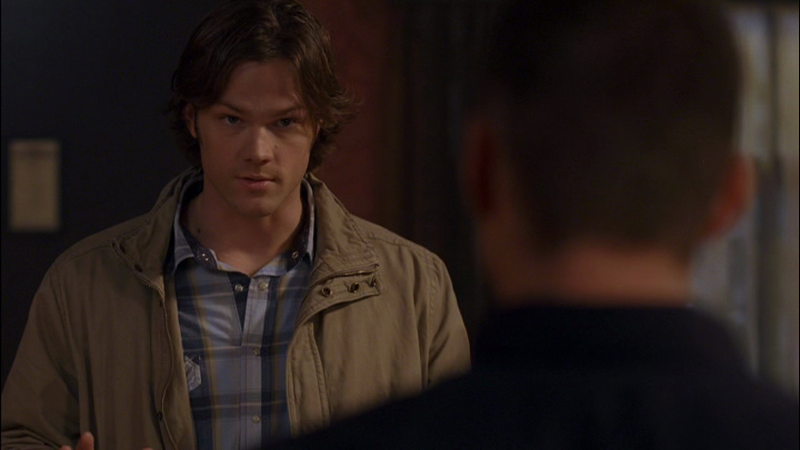 In Malleus Maleficarum (3x09), Sam wears it from when they meet Ruby in the road until the end of the episode.